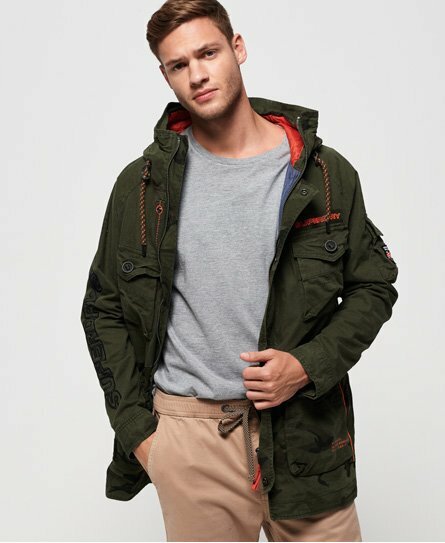 Superdry men's mixed Rookie parka jacket. This jacket features a main zip and popper fastening, six front pockets and one pocket on the sleeve, drawstring adjustable hood and popper fastened cuffs. This jacket also features an embroidered Superdry logo down one sleeve, a textured Superdry logo on the chest and an adjustable drawstring waist. Finished with a Superdry logo badge on the sleeve pocket and Superdry logo tab on one of the front pockets.